It’s no surprise most NHL players participated in playing multiple sports other then ice hockey growing up. New York Rangers’ team captain Ryan McDonagh is in that same conversation. NHL.com recently did a story on how New York’s captain recently encouraged youth’s to play multiple sports at a time, especially tennis. McDonagh was present at the U.S. Open on Monday for a youth tennis exhibition; where expressed how staying active with other sports is important and will keep kids active, plus healthy. McDonagh can back up what he preached, as the Rangers’ defenseman played football and baseball growing up. Yet, as the American born player has gotten older he’s become fond of not only watching tennis, but playing as well. 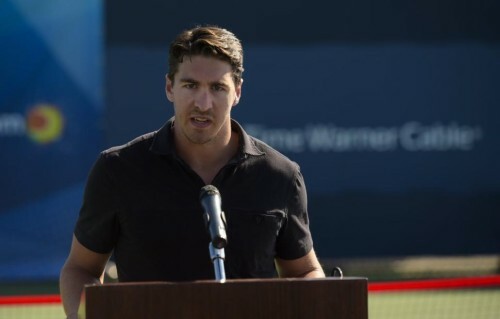 “It’s not a sport I played as a kid, but as I get older, you want to experience new sports and get a workout in if you can, and tennis is a great way to do that,” said McDonagh, per NHL.com. The former Montreal Canadiens draft pick has worked his way up the ladder over the years for the Rangers, and has been an ideal role model for young NHL fans. At a time where the younger generations of society seem to be more focused on technology based activities — it’s great to see one of New York’s leaders push kids to become more involved with trying out new sports.